Basketball players are not the only professionals out there in sports who rebound well and that’s a fact. Take for instance fuel bike racer Dean Comunal, of Stroudsburg PA. For example, his ability to rebound is excellent, especially when you consider he flat-lined more than once during 2017. After all, not everyone gets to rebound up off their deathbed. 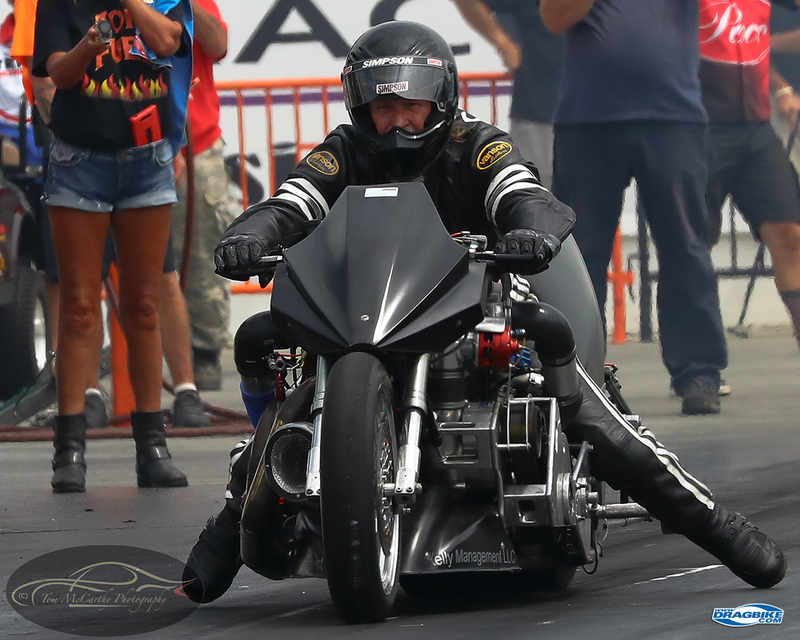 Dean is a motorcycle drag racer who has competed at the highest levels of the sport on a Top Fuel Harley Davidson and sometimes competes in Nitro Funny Bike class. If it’s powered by nitromethane for fuel, he’s in; that’s the bottom line. It’s a sport he’s enjoyed since 1999, until his whole life changed on August 20th, 2017. That’s one day he’ll never forget, this I assure you. Dean was at Numidia Dragway, just east of Scranton, Pennsylvania on that memorable Sunday afternoon in the left lane, on a Nitro Funny Bike (NFB). He was racing against Jimmy Doyle of Springfield Massachusetts at the time. They left the starting line together, there was some tire-shake, so Dean lifted a little and resumed, then about 300 feet from the launch, Dean’s motor exploded in a fireball. No one is sure exactly why Dean’s motor exploded, but one thing everyone is sure of, it was a horrendous blast. Jimmy Doyle who was in the adjacent lane with Dean remembers, “It was nasty, I know it lifted him right up off the bike.” When the motor let go, the rear cylinder and head assembly lifted up off the engine block with tremendous force. This allowed the rear cylinder, with the cylinder-head attached, to become a projectile blowing upwards into the frame rails with such impact, it tore the chrome molly frame apart at the impact location. As a result, the motor components and the frame hit Dean in his chest with such force, it broke all his ribs and damaged major internal organs. It lifted him up off the bike. His grip on the handlebars is the only thing that kept him from being thrown from the motorcycle. There was, as required, a safety strap restraint system on the bike, with a brand-new strap and everything, was to current safety standards. The motorcycle was properly Tech Inspected and meet the race safety standards at that event. Why exactly the restraint system did not adequately restrain the rear cylinder has not definitively been determined as of this publication. 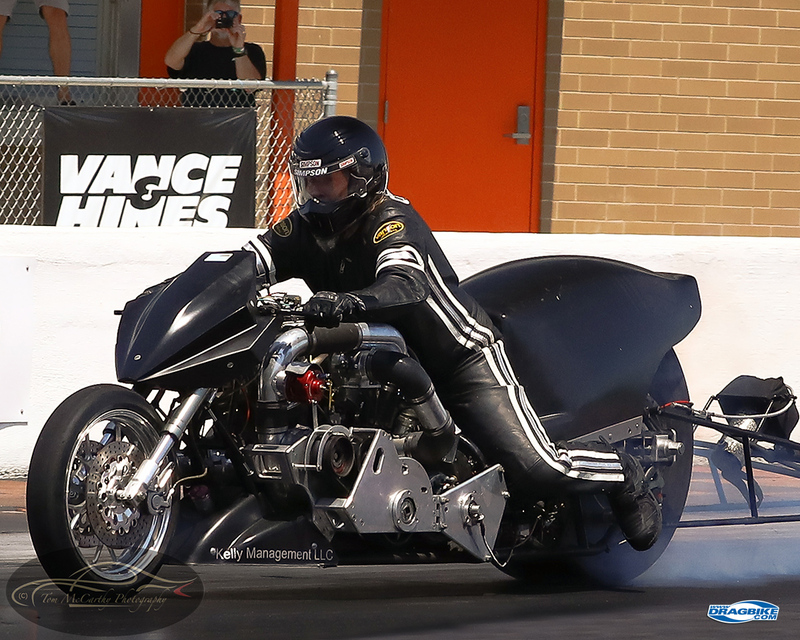 That Dean never blacked out and lost control of the machine is a testament to his determination as a fuel bike pilot. He kept the motorcycle upright and brought it to a safe stop in his own lane before he succumbed to his trauma and slide almost peacefully from the bike. No one knew for certain at the moment, but Dean was in very serious trouble. His ability to bring the bike to a safe stop had people fooled he was okay, when he was anything but. The competent and efficient medical staff at Numidia Dragway had Dean into the ambulance quickly and whisked him off to Geisinger Medical Center, in Danville, PA. When Dean arrived at the Medical Center, he recalls “Everything at the hospital was like I was standing over by the wall watching things happening. It was very surreal to me. I remember watching them working on me.” The doctors on staff when Dean arrived knew from the Ambulance transport that a “Motorcycle accident” was coming in. So they were prepared to look for the usual abrasions and injuries associated with the average motorcycle accident. This set up a very dangerous situation that cost the medical assessment team valuable minutes during Dean’s initial assessment, at the hospital. The team was looking for the usual, which they did not find, until Dean’s teammate Barry Anthony, who rode in the ambulance with Dean, showed the medical staff how his injuries happened. He did that by showing them a cellphone video of the blast. Only then did they realize they should be assessing a blast victim, not the typical motorcycle accident patient. Dean’s list of serious injuries was devastating: he had suffered two collapsed lungs, all sternum connecting ribs were broken, an artery to his liver was severed, and his kidney damage was so bad his left one had to be removed. During exploratory surgery, the Trauma One Team opted very wisely to open Dean up from his pectoral muscle all the way to his lower abdominal area and keep the incision open for X-DAYS, while they continued their round-the-clock assessment of his internal injuries. This was a life-saving decision as they learned along the way that Dean’s pancreas was also badly damaged. While the doctors and staff worked their magic, as the hours turned to days and then weeks, Dean’s twin brother David, never left his side. He was always there, and Dean’s lady in his life, Susan Adina, was also there as often as she could be. Dean was in the Intensive Care Unit for close to three weeks. Once he improved, they relocated him to a recovery ward and he made remarkable improvements quickly. The doctors were skeptical about his rapid improvements and were ready to schedule Dean for rehab and physical therapy as needed. But they didn’t know who they were dealing with. The medical staff responded with “okay, show us you can walk up two flights of stairs.” So Dean did that and smiled at them “See?” And with that, all the doctors signed off on his release and in September, Dean was sent home to continue his rebound from the accident on his own. There were unseen forces at work that played a pivotal role in Dean’s recovery. The power of prayer cannot be overstated in the recovery process. AMRA Chaplain Rich Vreeland was praying daily with his wife Patti and they were not alone. 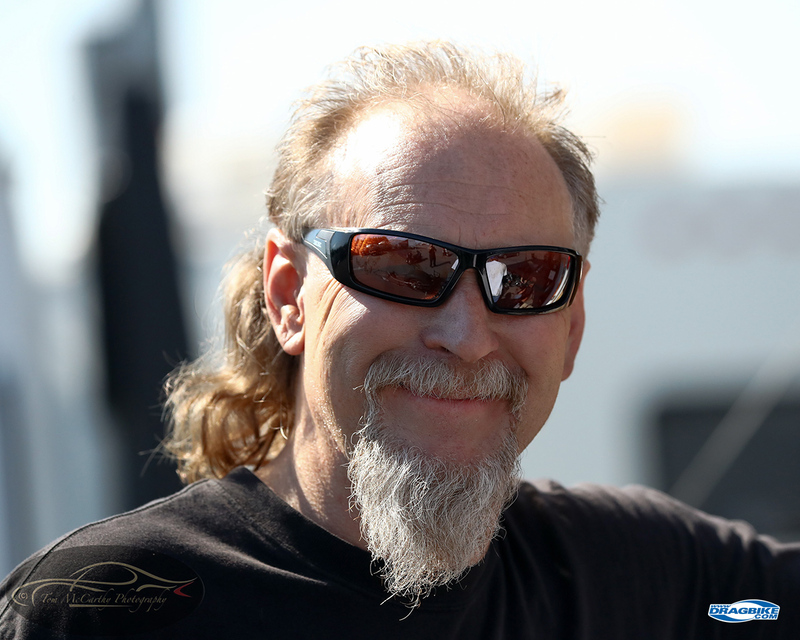 Many members of the local ministry, Dean’s extended racing family, they all played a part in his healing. There are no words to describe what Dean felt when a ride in Dean’s honor was held and launched from Pocono Mountain Harley Davidson and the ride ended in the parking lot of the hospital. Dean could not go outside to greet and thank them, but when over 100 Harley Davidson motorcycles show up, in the pouring rain, in your honor, that’s enough to make a grown man cry any day. There were raffles and donations taken in Dean’s name as well as a drag race hosted by the Zinc City Motorcycle Club, with all donations made to Dean’s recovery fund. Essential to Dean’s help was the Drag Racing Association of Women (D.R.A.W. ), who caught wind of Dean’s racing accident on the track, and they began giving financial assistance right away. It takes a lot off a man’s mind to know his affairs are being taken care of. You can’t put a price on peace of mind. Will Dean rebound fully and race again? That’s a question that’s still unanswered for Dean, some many months after the incident. 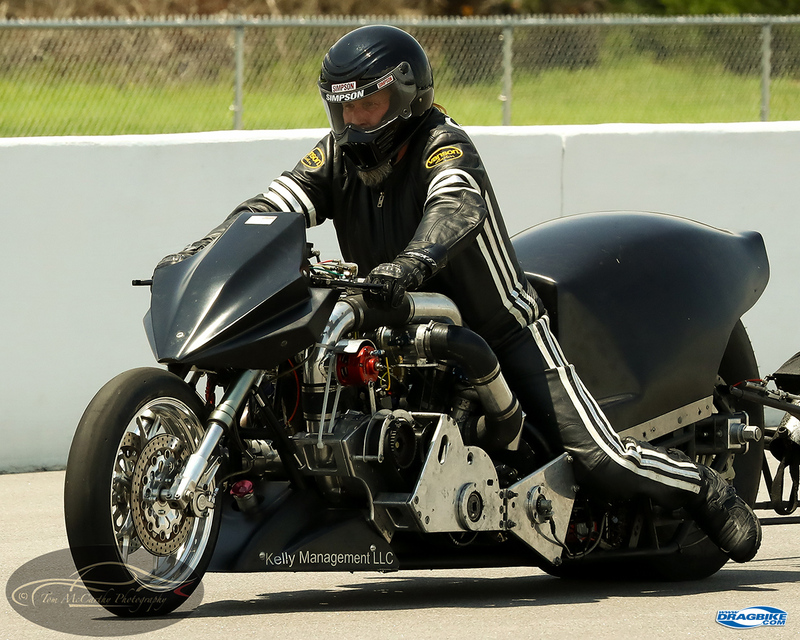 “One part of me is like, what are you waiting for – the other part is like what are you nuts?” So for Dean, as he continues to bounce back, he’s returned to work and the drag bike frame went off for chassis repairs. Will he back on it when the bike is fully back together? The answer to that is one you’ll have to catch on the rebound.